You may be surprised to know that when it comes to the best time to celebrate the feast of the Nativity of Our Lord, Catholics have some pretty strong opinions. From the Christmas Eve Children’s Dress-Up Mass, to the thrilling epic at Midnight, to the typically less packed Christmas morning Mass, there are plenty of reasons Catholics tend to stick with one or the other. And while the Christmas Mass we prefer tends to fluctuate based on our current lot in life (six kids under six can make Midnight Mass a pretty tough sell), most of us seem to hold on to the traditions of our family when we think about one of the most important holidays of the year. @heyitsrealdeal: Evening Christmas Eve. No kids, most peaceful, least stressful. @FrMatthewLC: As a priest I try to do Midnight Mass, Mass at dawn and Christmas Day Mass. @GregoryGhering: Midnight Mass, because that time feels to me the most similar to that of the Nativity's events. @CatholicMomVA: Midnight. I think it's the Catholic equivalent of posting “FIRST”. More seriously, Dad told me it was the Mass for outcast. He would say that the drunks & homeless people would come to Midnight Mass, along w all the families. That really stuck w me. @CathyKallberg: Since our church moved "Midnight" to 10pm (WHAT???) we go to 6pm Christmas Eve and then dinner with friends who are family. @CatholicMama: prefer Christmas morning. Vigil is standing room only, Midnight doesn't really work with overtired kids. 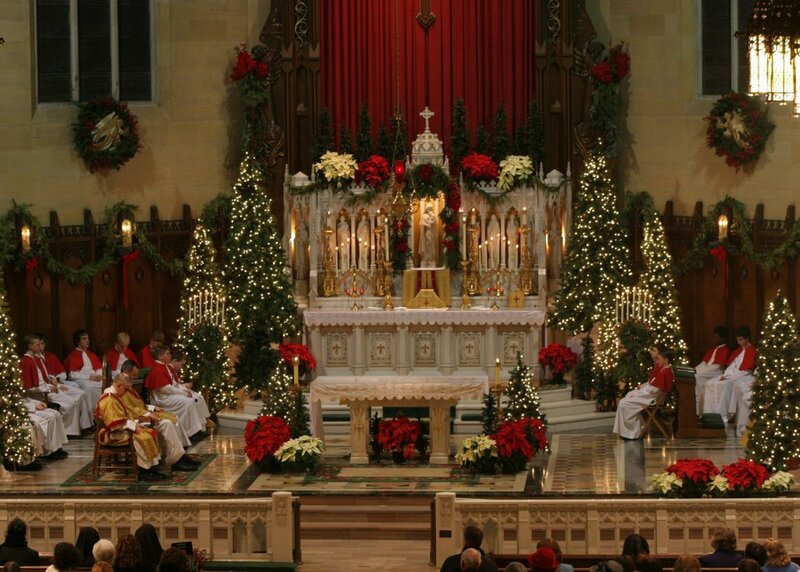 @LauraKFanucci: Love midnight Mass but not happening w/kids for another decade. We opt for Christmas morning. All the vigil Masses = mayhem. And thanks be to God for our priests who have given up so much to be available to do it all, as Father Harrison pointed out. So, dear reader, now that you’ve seen what the Catholic corners of Twitter have to say, which Mass do you prefer attending to celebrate Christmas and why? There is a difference between what I prefer and what I do. My Mom likes us all to gather for a 3:30 Pm Mass, but you have to get there by 2:30 to get a good seat. Then we have dinner and exchange presents (or presents and then dinner. Depends on ages of kids). I think I'd prefer to go to a dawn service now that my kids are grown.